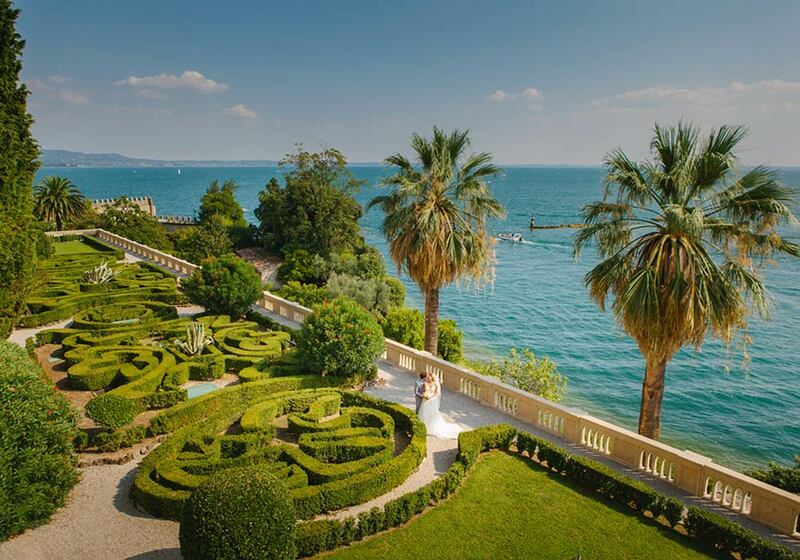 Lake Garda is the biggest Lake of Italian Lakes District. 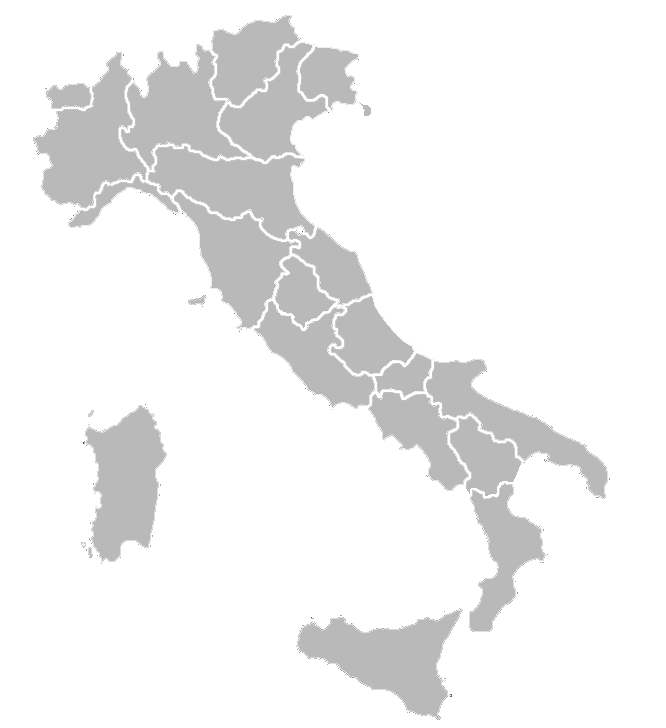 It is located between Lombardy and Veneto region not far from famous cities of Venice and Verona. It is one of the most famous Italian Lake and it is amazingly lovely. 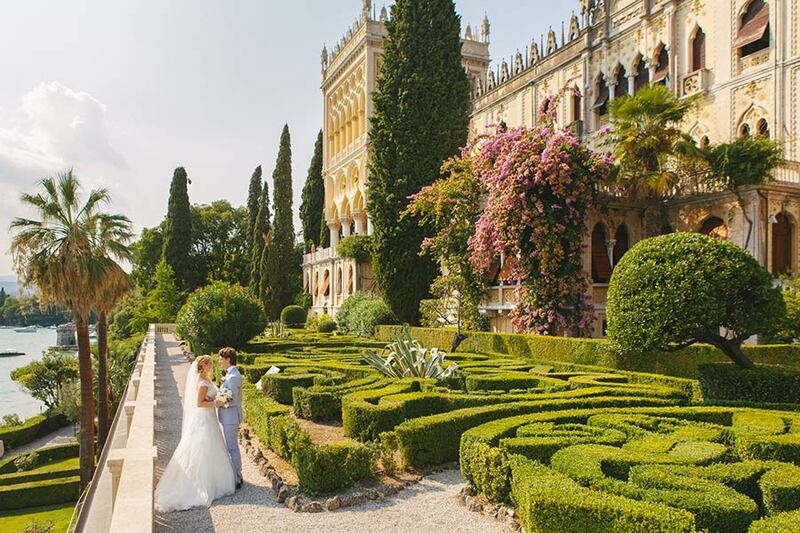 Here you can breath a traditional Italian and Mediterranean atmosphere, lemon scent, wonderful colours and wonderful little villages dotting the coast line of Lake Garda could be the perfect destination for your elope in Italy. You can choose Malcesine and its breathtaking castle. 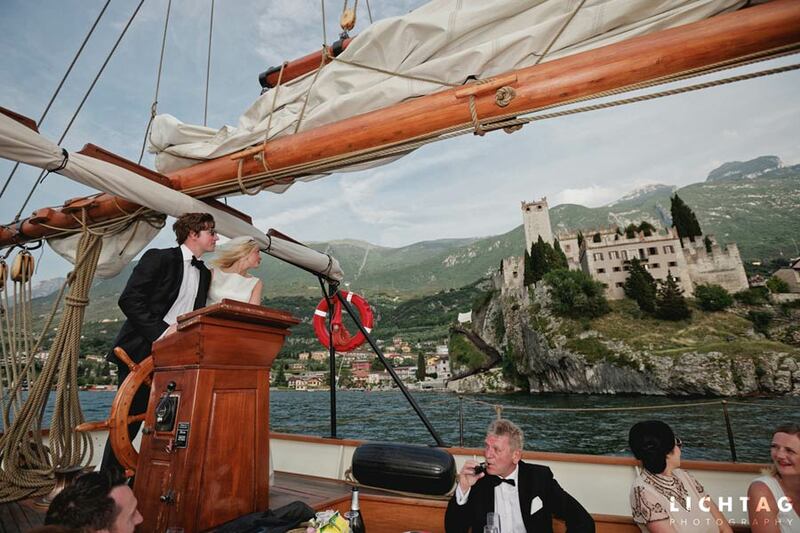 Legal civil ceremony is performed on top of the castle with a great special view you will never forget. 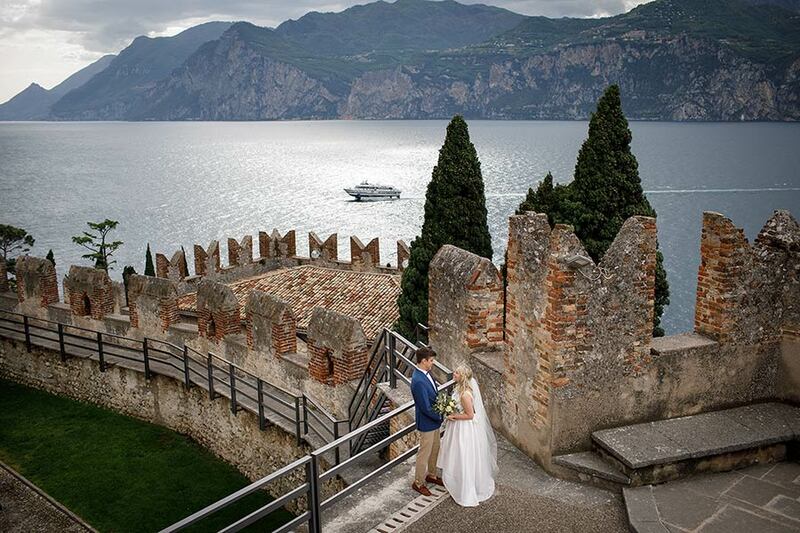 Sirmione or Torri del Benaco are two other great destinations for your elope on Lake Garda. 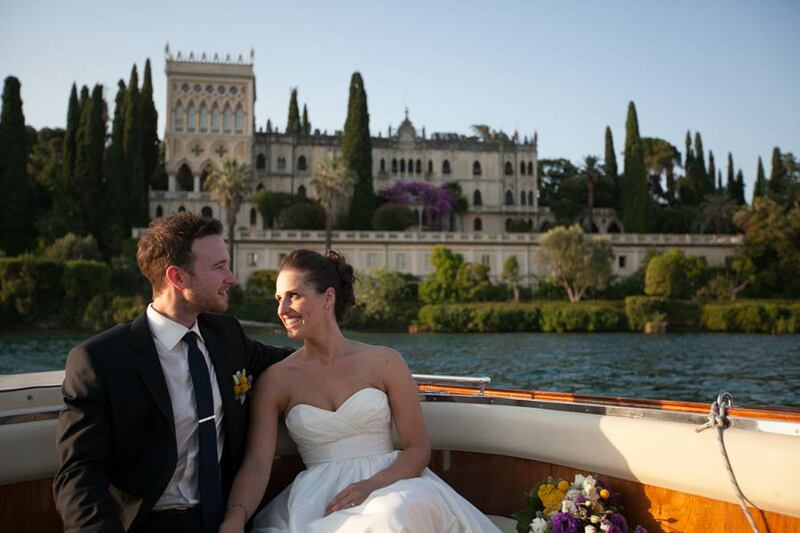 And let’s not forget about one of the most beautiful wedding venue of this area: enchanting Isola del Garda. 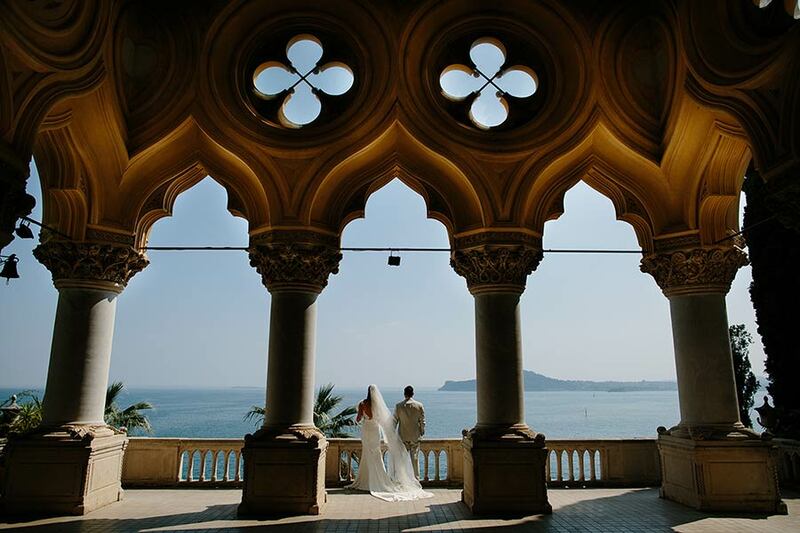 The backdrop of the Island will be a perfect frame for your elope in Italy. A boat trip is a must on Lake Garda to see from the waters the beauty of the nature and villages. 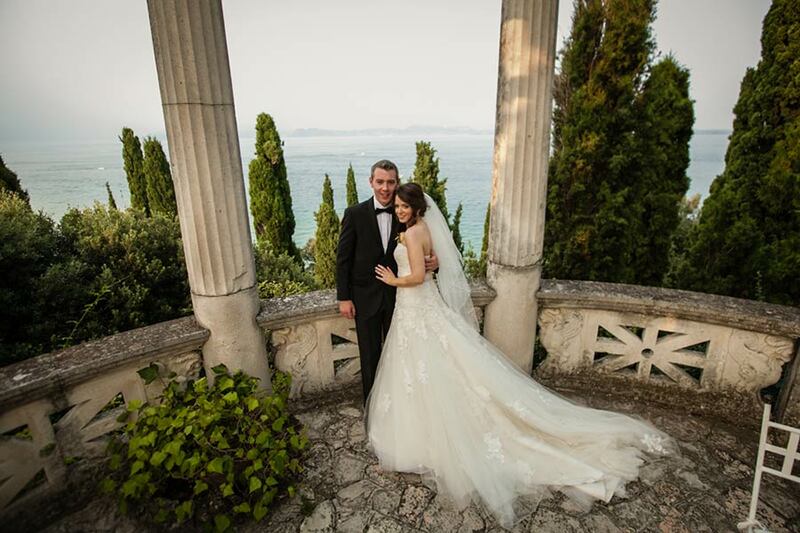 You can choose Lake Garda for a very intimate and cozy elope or you can choose it for a luxury elope too! 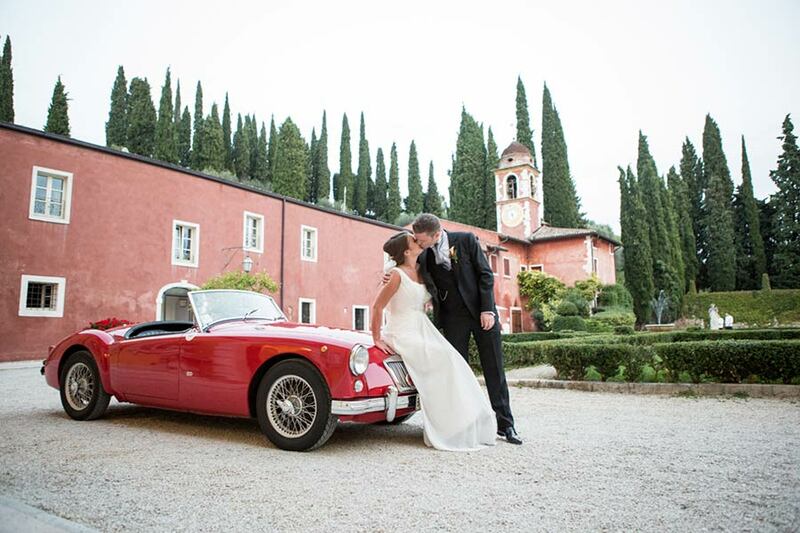 Amazing villas can host your romantic elope to feel and breath the charm of Italian history immersed in its fantastic nature! 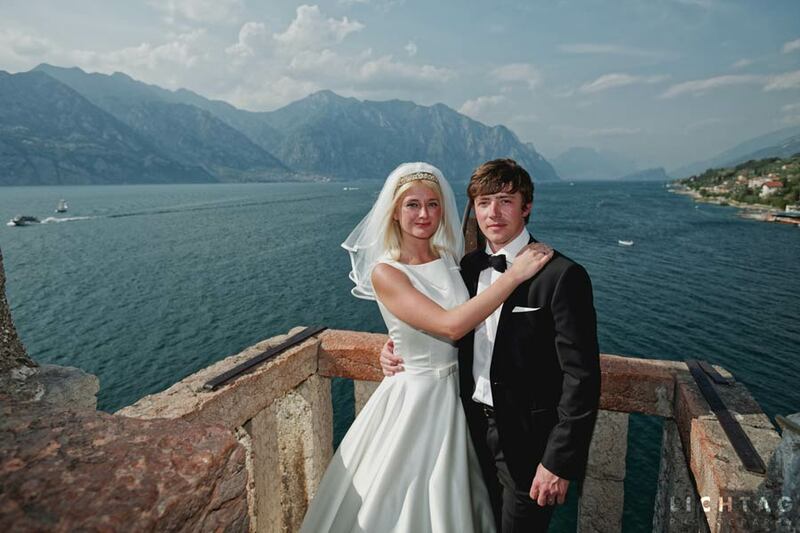 Being the biggest Italian lake Lake Garda can offer many opportunities for all kind of elopement! 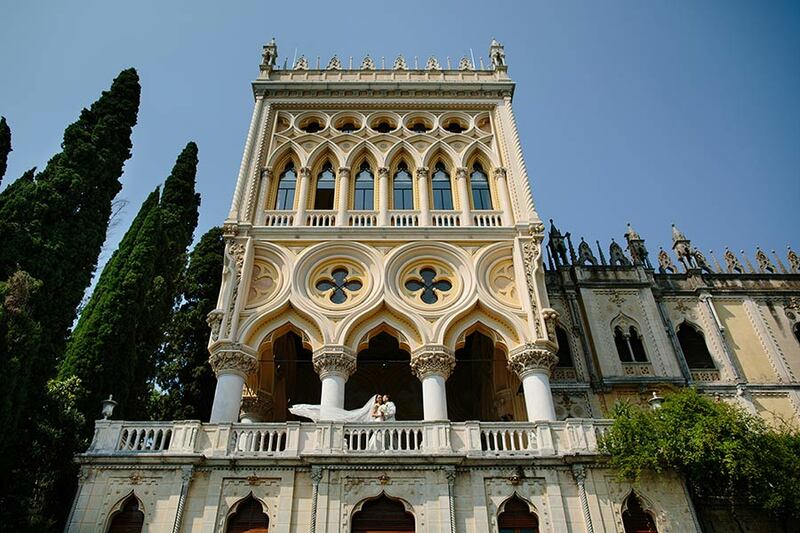 And for your honeymoon do not miss close by Verona the city of Romeo and Juliet and one of the most romantic city par excellence: Venice! They are just close by! 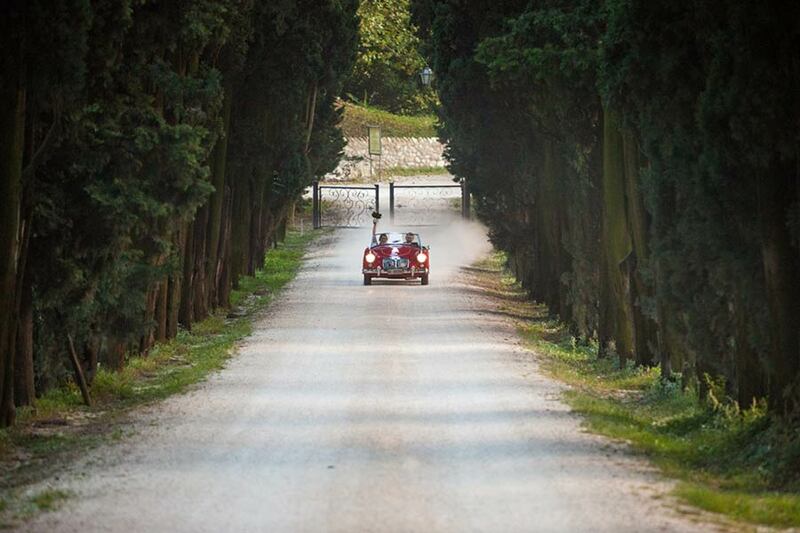 If you are ready to leave for Italy we created for you some experiences. These are not set in stone, we can customise them all for you according your wishes. Meet our wedding planners team! 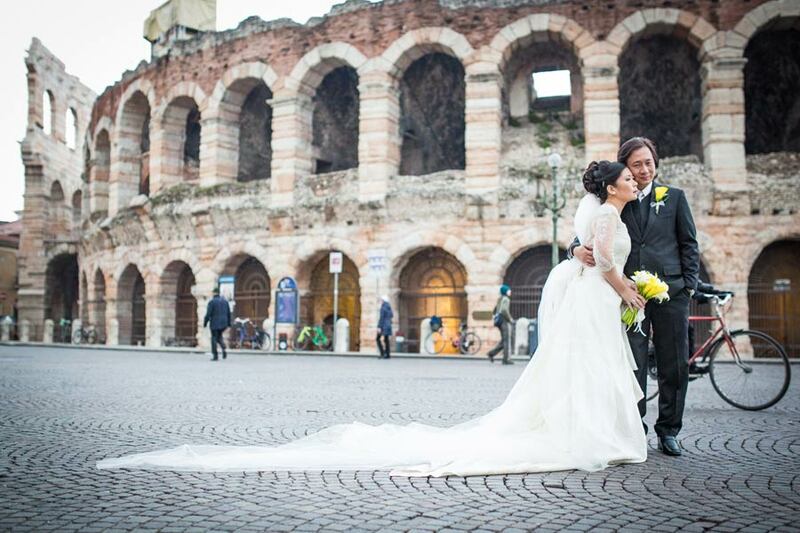 They are all senior wedding planners of Italian Wedding Company group located in all Italian destinations we suggest. We are pleased to meet you! 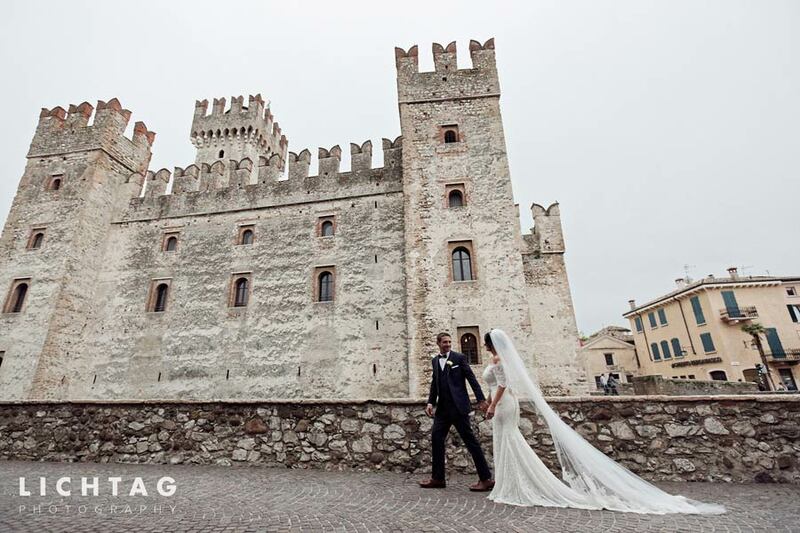 Have a look to some of our recent small and intimate destination weddings and elopements in Italy, our Wedding Planners team organized for amazing couples coming from all over the world. Choose the best offer according your dreams and budget. Fill the form and we will be happy to make your dream come true! 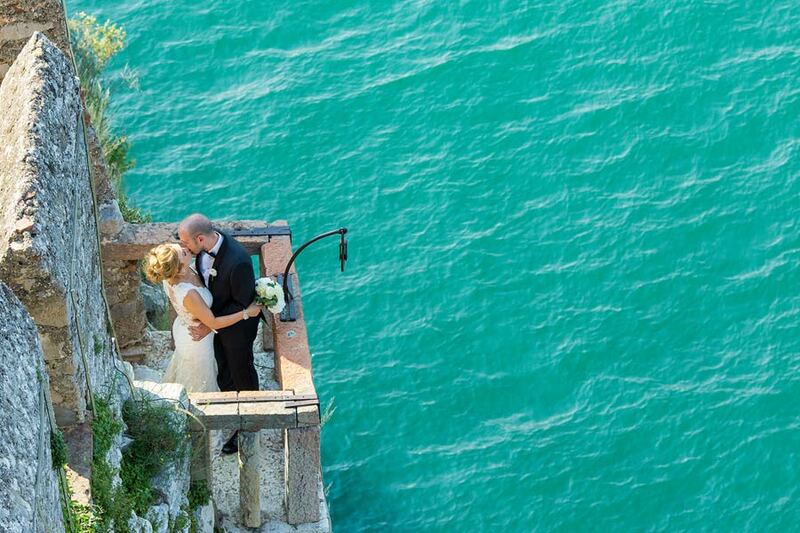 Hold your breath… are you ready for an unforgettable elope in Italy?